Gogebic Range - Information about the settlement of Asiago families in the Gogebic Range of Michigan and Wisconsin. New Mexico Homesteads - Information about homesteaders who worked the mines in Colorado and New Mexico. Ellis Island Cunicos - A list of Cunico's in the Ellis Island immigration records. Ellis Records Instructions - How to extract additional information from Ellis Island records. 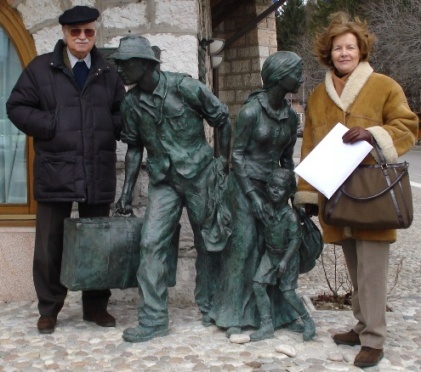 Emigration - The great "Italian Diaspora"
If you grew up in an Italian family in a country other than Italy, you may not realize that your family is part of one of the largest migration phenomena in modern history. 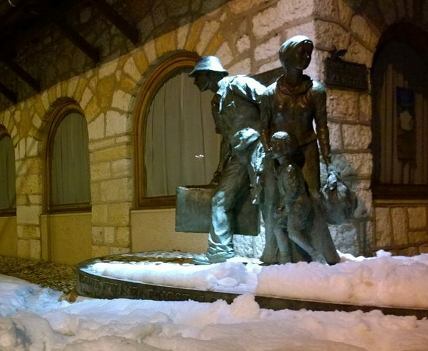 Between 1861 and 1985, over 29 million Italians left their homeland in search of a better life. My own family went to work in the coal mines of the Gogebic Range (Ironwood, Iron Mountain, Bessemer and Hurley). Later they made their way to Illinois. In the United States most Asiaghesi emigrants settled in these mining communities and spread out from there. 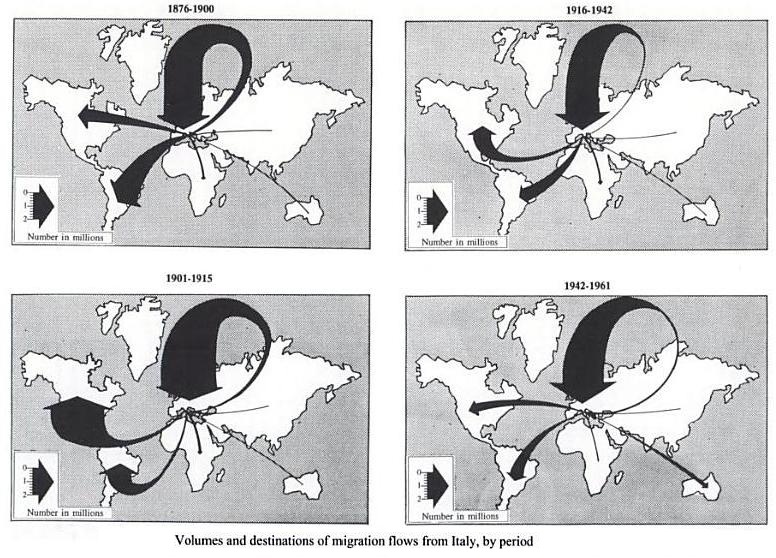 See the map showing migration flows from Italy below.